Looking for my AAR's BS , BS23JOB292541 . Any history also , came from St.Petersburg , Fl in 2002 . Was stored many years not running . Last edited by cudagee; 04/09/18 12:42 PM. Here are the colors that increased in numbers. If you havent registered your AAR yet please drop by www.transamcuda.com and register yours today to be part of the largest registry for AAR's on the internet with broadcast sheets on file as well as other paperwork and documentation to be claimed. Looking for the fender tag and build sheet for 70 Cuda VIN: BS23V0B100127. Car came from the St. Charles, Missouri area. Was FE5 Red with 4 speed. 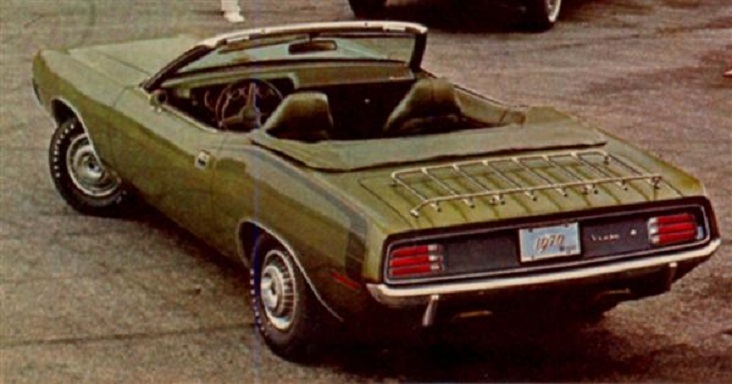 Looking for a 1971 Plymouth Cuda 340 broadcast sheet. Car spent some of its life in Maryland & Pennsylvania Believed to possibly come out York, PA.
Last edited by JDR1967; 11/22/17 08:26 PM. Found two build sheets recently in a Challenger RT a friend of mine picked up. Would appreciate any info on my 1970 Challenger R/T SE. From the factory: 440-6 sixpack, SHAKER-hood, manual transmission, sublime in colour, black vinyl-top, black leather interiour, power-windows. VIN is JS29V0B308743 and SPD is 415 (April 15th 1970). Also very interested in contact to former owners or people who know my car. I appreciate this car as it is and am very happy with it: won't complain about anything. Drop me a line via email: SirToby@women-at-work.org or via board-message. Hey Barry I found this T/A door. I only have the door. This T/A was wrecked and totaled in 1984. I have a bunch of fender tags and broad cast to send you . I don't know if you remember me but I sent you the records from zumwalt Chrysler Plymouth. Great to hear from you, I remember you well. You mentioned this T/A to me in an email on 2-27-2006. Cool to see the door still survives. Last edited by Alaskan_TA; 01/22/18 11:57 PM. Thanks Ken, I will be more than happy to cover any postage costs. Found a broadcast sheet for a very unique AAR BS23J0B29_142. I cannot make out the missing number but the options will help to identify the car. I am looking for BS23J0B306901 build sheet. If you can provide the SPD & vehicle order number I can tell you what the missing digit is on the sheet you found. fender tag and broadcast sheet found! Had a friend do some research and he found a previous owner from years ago, that had both! It took a few years and I have to admit I was losing hope.... good day in the mopar world! I have misc. paper work for a 1971 cuda vin #bs23h1b257277. have original dealersales receipt, bank loan papers,car was sold in scottsdale arizona 12-4-1970. have the original Chrysler warranty papers with the cudas vin # on it. This kind of paper will surely increase value of this car. If the owner of this car or this car still exists contact me by pm on moparts thanks.